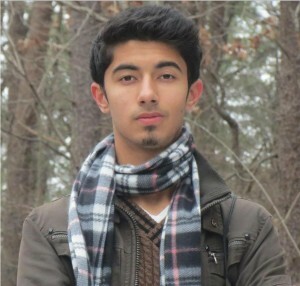 Moiz Khan is a foreign exchange student from Pakistan, currently studying in the United States. English is his third language, but he loves to write poetry in English. Moiz wrote this poem in response to a Facebook post by somebody after the incident that happened in Peshawar, Pakistan on the 16th of December, 2014, when a high school was subject to terrorism. The post said something along the lines of of all the people of Pakistan are terrorists. Moiz felt really bad about this post, and decided to have a voice of his own in response. Moiz heard about the Writing for Peace competition from his English teacher at school and thought if he could manage to get a place in the journal he could share his point with a wider audience. At the end of the day, what is it that you hold dear? To them it is the same; they wish to sleep without fear. Poetry must invariably answer questions, and accordingly it’s a mode of philosophy. It takes critical and emotional intelligence to assemble within the collage of poetry a truthful and just sensibility. Moiz does this with assurance and grace. Moiz’s winning poem will be featured in our 2016 edition of DoveTales, An International Journal of the Arts.